One of the little perks of blogging is having the opportunity to work with some delicious food products. Often companies will pass along a few samples in exchange for a write up and blog post about their product. 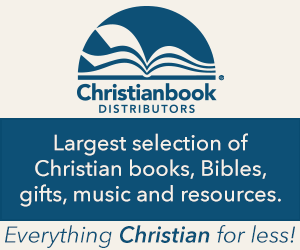 It’s a great way to try new products…for free! The Golden Girl Granola Company is currently hosting its Second Annual Blogger Recipe Challenge, and I am happy to be a part of it. The challenge? Come up with a dessert recipe featuring one of Golden Girl’s granola products that is family friendly, easy to recreate, and delicious. I was given the choice of one free bag of granola in a flavor of my choosing. This was not such a difficult choice considering my affinity for chocolate. A bag of their Chocolate Decadence was on the way! Once my granola arrived I opened it to try a sample. Then, I promptly closed the bag and hid it. I hid it far away in the depths of some obscure cabinet where none of my children would ever dream of looking. Why do such a thing you ask? Well, this granola was so good that I knew that if my kiddos got whiff of it, it would be history. Oh, no. This was going to be mom’s little secret. Besides, I actually needed to use the granola to make a recipe. What makes this granola so good? It’s simplicity. Most of the granola that is on the market today is laden with sugar and more sugar in various forms. The resulting product is too sweet and hard. This granola is different. First of all it’s loose, meaning that I can tell it is not bathed in excessive sugar. The oats, almond slices, and coconut have a subtle sweetness that is just right. I don’t have to break my teeth biting into large boulders of granola either. This granola is perfect for sprinkling on top of yogurt, oatmeal, or ice cream. It is also a great base for a homemade trail mix. In all honesty this is the best granola that I have ever had, and I am not just saying that because my bag was free. My job is to provide you with an honest commentary about the product and to give you a mouth-watering recipe to try. This is some good stuff! Let’s get to that recipe. 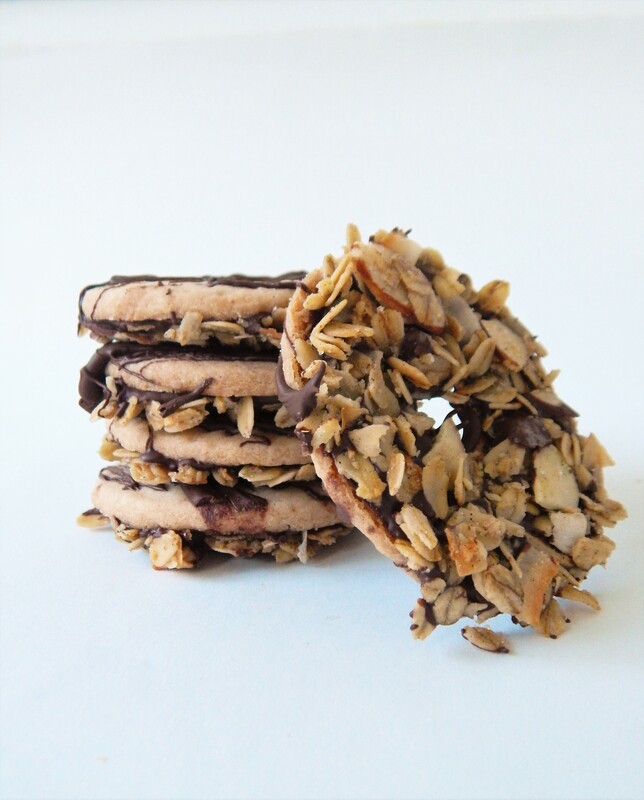 My inspiration came from one of my childhood favorites: fudge striped cookies. I absolutely loved the thin, crisp cookie and the thick chocolate coating. If I had a choice as to what cookie mom would buy, the fudge stripes always got my vote! My recipe is a simple and straight forward take on the original. Since the granola contains a bit of coconut, I wanted to use some coconut oil in the cookie dough as well. 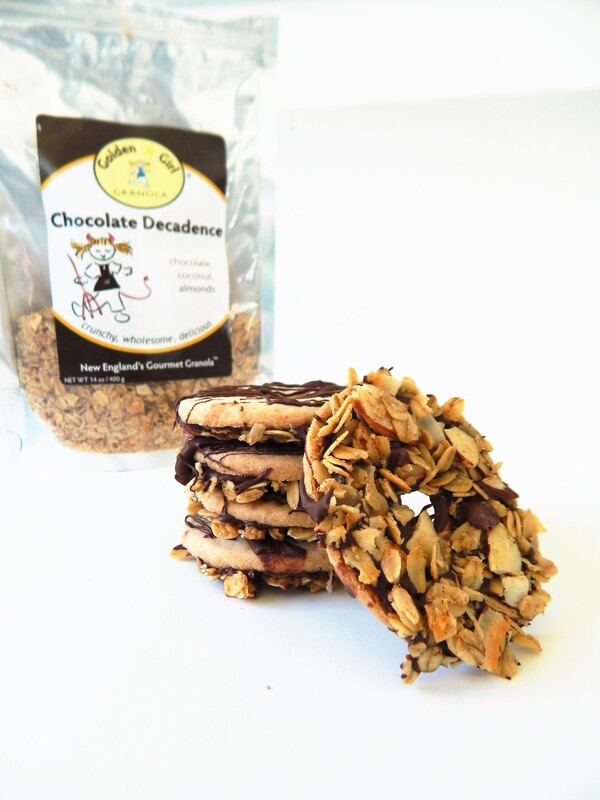 The result is a crispy, coconut scented cookie, covered in chocolate, and dipped in the Chocolate Decadence granola from Golden Girl. One bite brought me back down memory lane. My kids agreed; these cookies are good. They did have one question for me, though. Well, that will be my little secret! Remove the butter from the refrigerator. Yes, you read correctly. This recipe requires cold butter. The use of cold butter will allow us to skip the step of chilling the dough which is often required when rolling out cookie dough. Slice the butter into thin 1/8″ thick slices. Place the butter in the bowl of a stand mixer fitted with a paddle attachment (or you can use a food processor or handheld mixer). Cream the butter together until smooth. Add in the coconut oil, and continue to cream together until the mixture is smooth and free of lumps. Add in the superfine sugar and mix for 1 minute. Superfine sugar is regular sugar that has a smaller granule than regular sugar. Gradually add in the flour and mix until the dough comes together. Knead the dough with your hands a few times. Lightly dust a clean work surface with a bit of flour. Roll out the dough to 1/4″ thickness. Using a 2 1/2″ or 3″ round cookie cutter, cut out cookie rounds and transfer them to the prepared baking sheet. Using a small 1/2″ round cookie cutter, cut out center circles from each cookie. Bake for 12-14 minutes or until golden and crispy. Allow them to sit on the tray for 5 minutes before moving them to a cooling rack. 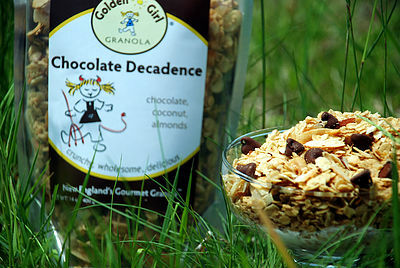 Place one cup of Golden Girl Chocolate Decadence granola into a shallow bowl. Set aside. Keep your baking sheet with parchment paper handy. Melt chocolate in a double boiler. You may use a microwave, but I prefer using the double boiler method because the heated water in the bottom pot will prevent the melted chocolate from cooling too quickly. This gives me more time to work! Spread about a teaspoon of melted chocolate on the bottom portion of each cookie. Immediately sprinkle the granola over the melted chocolate, gently pressing it into the chocolate. Be sure to cover all of the chocolate. Place the cookie granola side down onto the cookie sheet. Once you are finished, dip a spoon or fork into the chocolate. 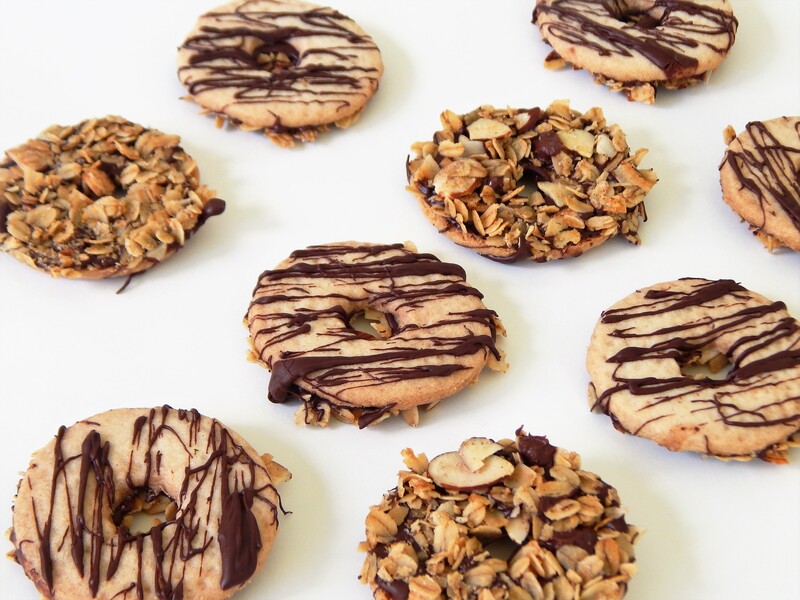 Moving in a back and forth motion over the cookies, add stripes to the tops. These are not meant to be perfect stripes but more like drizzle. Allow the cookies to completely set. You can put them into the refrigerator to speed the process along.